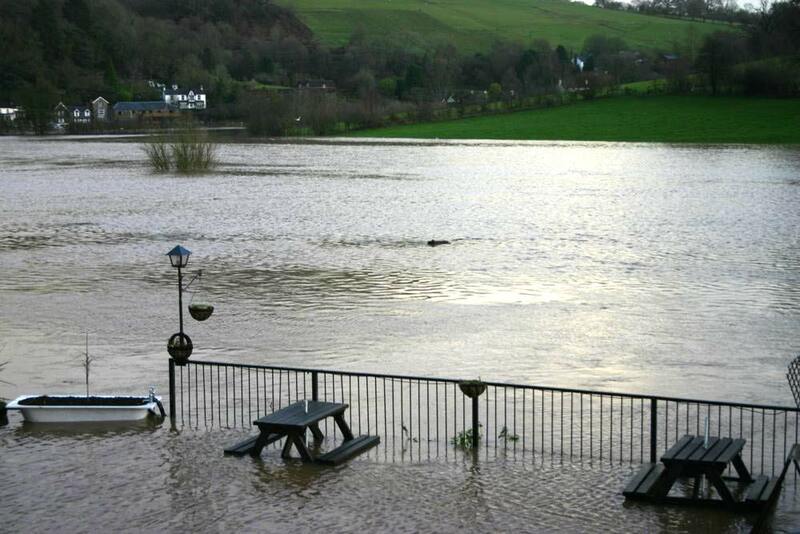 The Rose and Crown, Tintern site uses only one cookie. It is a session cookie, which is deleted at the end of your browser session. It holds no personally identifiable data relating to our site visitors, other than the broad geographical location. This serves to ensure the site delivers the correct information in terms of local contacts, currency and taxes. 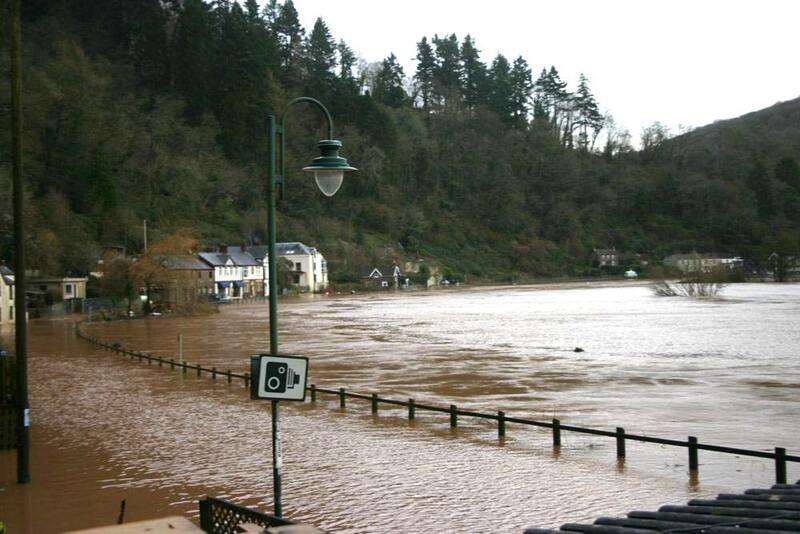 Last week's exceptionally high tides, combined with large amounts of rain caused the River Wye to burst its banks at Tintern on Saturday morning, flooding the bar of the Rose & Crown as well as many houses further up river from us. 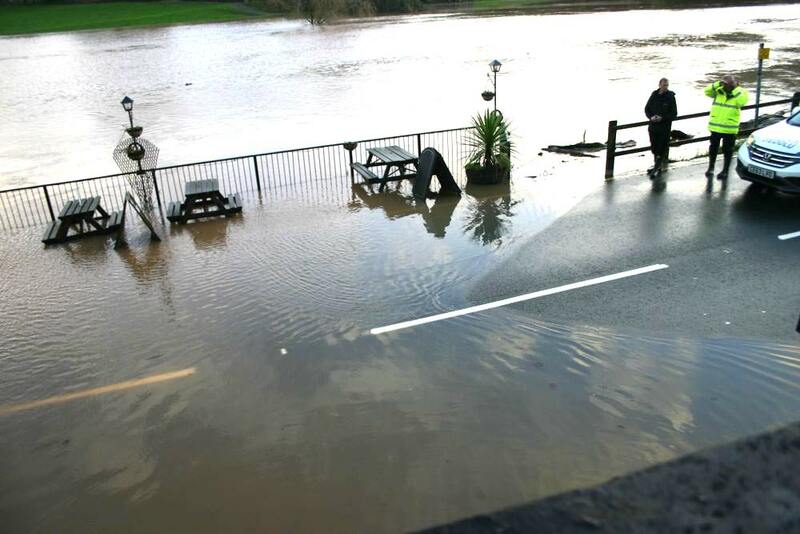 The police arrived and closed the road to traffic for some time and road sweepers were out clearing up any silt that the flood waters had deposited on the main Chepstow to Monmouth road that runs past our door. 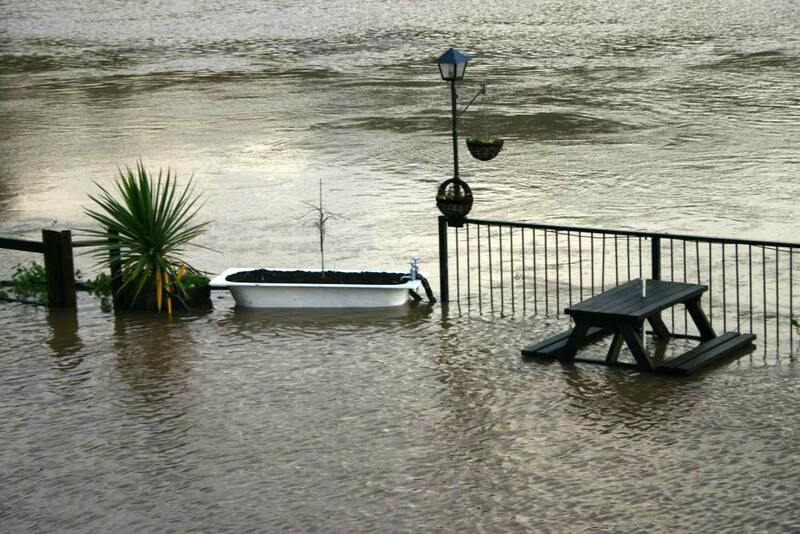 The level of the floods can clearly be seen gauged against the bathtub flower bed that lives in our riverside outdoor seating area. Luckily this is full of soil so couldn't float away. 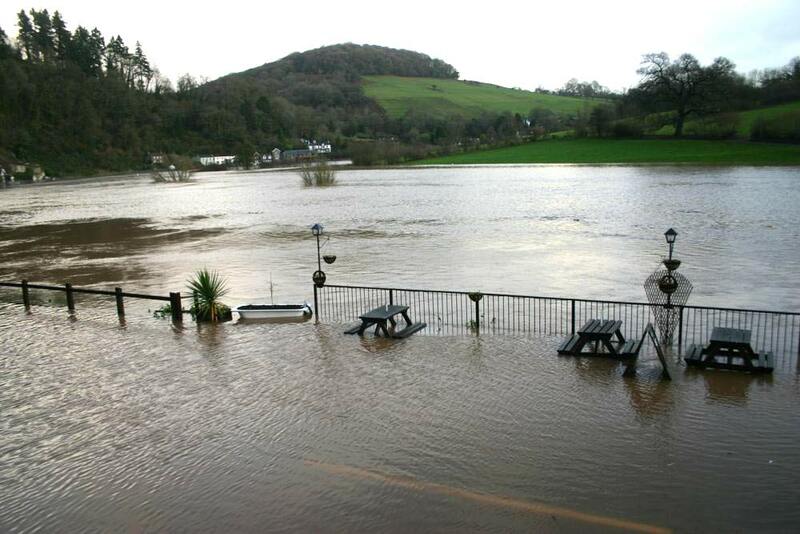 Some YouTube footage, shot by a local has been requested by national media organisations, so Tintern floods are famous. 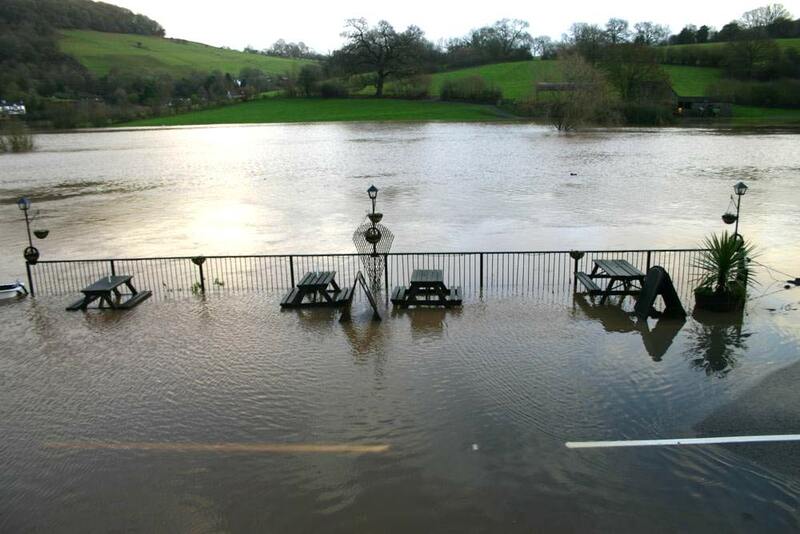 Naturally, none of the flooding caused any disruption in service here at the Rose & Crown where it was business as usual. 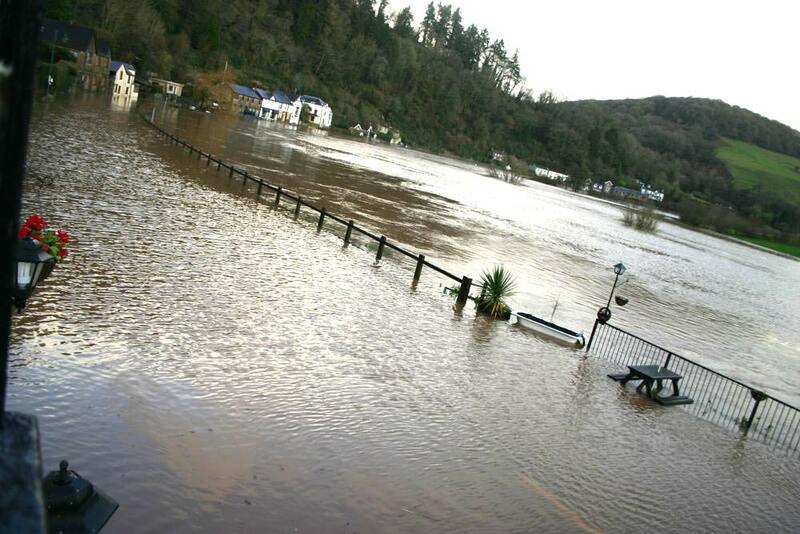 However, the Tintern AFC match did get cancelled as the pitch was underwater. I did suggest that we bring on the sub, but was shouted at so kept my specialist football advice under wraps from then on. Page generated in 0.0137 seconds.